As runners, dancers, kickboxers, etc., we know how hard our workouts can be on our joints. Ever since my half marathon training, I have a weird ache in my left knee that flares up when I run, when I teach Zumba, and when I sit with my legs crossed for too long (note: I'm 31, and sadly I'm not exaggerating... even sitting makes my knee hurt!). That's why I was particularly excited to be invited to hang out with Octane Fitness to learn more about the Zero Runner, a new tool for working out that replicates real running motion with ZERO impact to the joints. It's the only "machine" out there that truly mimics running, with bionic legs that allow you to move freely thanks to their unique hip and knee joints. I call it a "machine" because it runs on YOU - no plugs, no electricity. I got to hear the stories of two amazing guest speakers that really explained why a tool like this could be helpful. First was Carrie Tollefson, Olympic runner and all around superwoman. 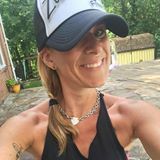 She shared that her insane training schedule reeked havoc on her body, and when she was injured (and again when she was pregnant), she had to use ellipticals and underwater treadmills to work out. Carrie hated it, because nothing could compare to being out on the road. The Zero Runner, she said, is the closest thing to outdoor running that she's ever tried (so much so that she's become its spokesperson!). There are a few specific things about the Zero Runner that really impressed me. Octane Fitness developed an app that can track your gait and other stats to help improve your workout. Secondly, since it's powered by you, it's completely silent - perfect for an indoor run at any time of day. And lastly but most importantly, it can also be used for "prehab" - that is, easing the impact on joints and bones before you have an injury to completely avoid the need for PT in the future. The Zero Runner is an investment (around $3K), but if you're a runner or if you're looking for a new way to workout at home, I definitely recommend learning more. 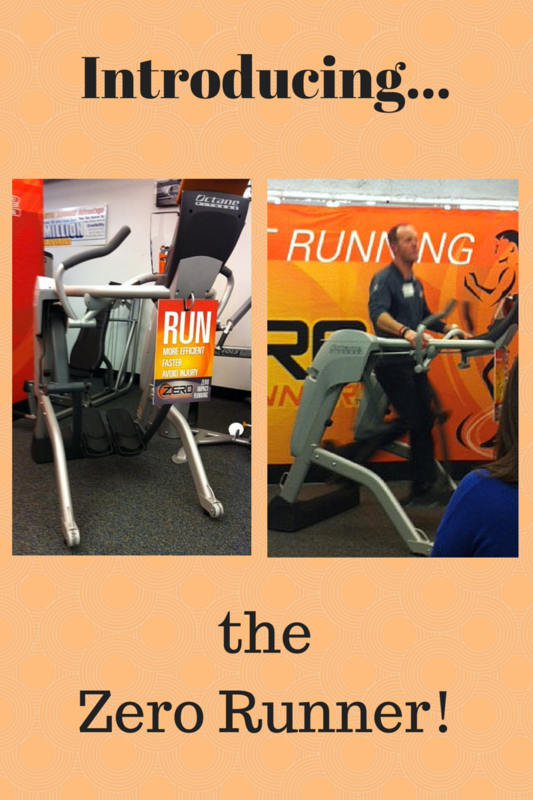 You can check out the Zero Runner site or follow Octane Fitness on Facebook, Twitter, or Instagram.